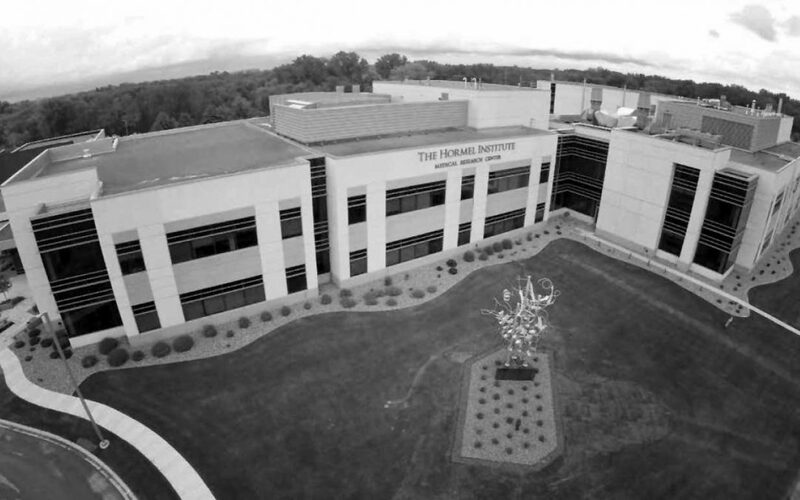 The Pink Pumpkin Patch Foundation would like to formally congratulate The Hormel Institute on being chosen as the 2019 recipient of our $10,000 breast cancer research grant. As a past recipient of our grant, we would like to continue our support in their efforts for finding a cure for breast cancer. The Hormel Institute University of Minnesota Mayo Clinic is a biomedical research center with scientists and collaborators working together to accelerate discoveries leading to improved health. Their research contributes to the development of new prevention and treatment therapies for cancer and other chronic diseases. Started in 1942 by Jay C. Hormel, The Hormel Institute, University of Minnesota is comprised of a group of highly successful medical scientists who are focused on determining the basic molecular mechanisms of cancer development to create new anti-cancer agents. The Hormel Institute is an emerging leader in cancer research and has work published consistently in the world’s leading scientific journals. Researchers are focused on finding better ways to prevent, detect and treat cancer to extend lives. The Pink Pumpkin Patch Foundation is a nonprofit organization based in Rocky Ford, CO. that helps U.S. growers donate a percentage of sales of each Porcelain Doll F1 pink pumpkin grown to organizations supporting breast cancer research. Growers that would like to participate can visit our pledge page and organizations that wish to apply for a grant can do so at our apply for a grant page.